If you and your pals like golf, then you’ll love the choice of clubs we’ve got for you! Membership of Open Fairways entitles you and up to 7 guests exclusive green fee offers, such as '4 for 2' or '2 for 1' at over 1,000 premier courses across Ireland, the UK and Europe. In addition to hundreds of local courses and hidden gems, the programme features many top ranked venues such as Celtic Manor (Newport, South Wales), Fairmont St Andrews (Fife, Scotland), The Belfry (West Midlands), England), Royal Dublin (Dublin, Ireland), and Royal St David’s (Gwynedd, North Wales). Read more about Open Fairways at www.openfairways.com. Click ‘Redeem’ and your Open Fairways Membership activation code will be on its way to you by email instantly. 1. The “Open Fairways Golf Membership” code entitles the bearer to 12 months’ free membership. 2. To redeem “Open Fairways Golf Membership” customers must register their details via the Dulux Trade Points website. Customers will then receive a unique code via email for use on the Open Fairways website. (www.openfairways.com). An Open Fairways Membership card will then be sent within 28 days. 3. Codes must be redeemed within 12 months. 4. 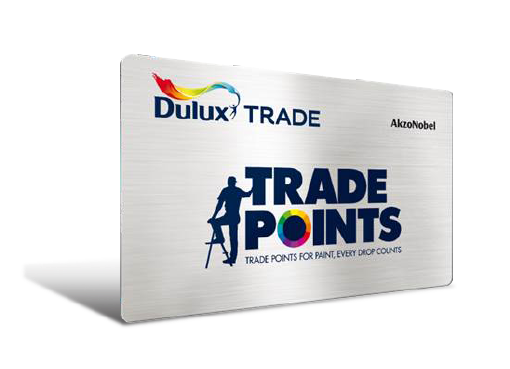 One code per Dulux Trade Points member only. 5. Applicants who do not give correct details or those who apply on someone else’s behalf will be disqualified, at the Promoter’s discretion. No applications from agents, third parties, organised groups or those automatically generated by computer will be accepted. No bulk applications. 6. 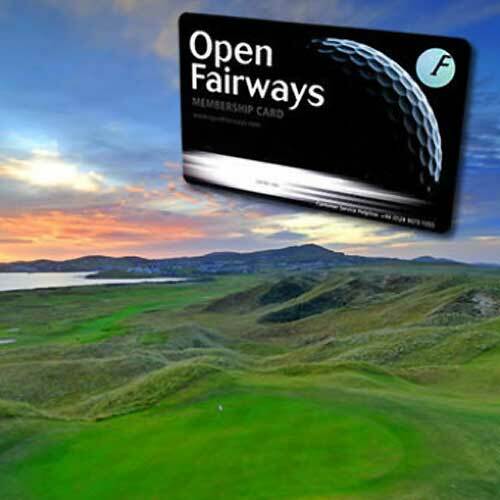 The “Open Fairways Golf Membership” cannot be used in conjunction with any other offer, promotion or discount and is not for re-sale, redeemable for cash or transferable. 7. Any persons taking advantage of this promotion do so on complete acceptance of these terms and conditions. 8. Please see www.openfairways.com for venue information. and venue normal terms and conditions. 9. The “How to” instructions form part of these terms and conditions. 11. Insofar as is permitted by law, neither the Promoter, its agents or distributors will in any circumstances be responsible or liable to compensate the purchaser or other bearer, or accept any liability for (a) any non-acceptance by a venue of this discount code or (b) any inability by the bearer to use this discount code properly or at all or (c) the contents, accuracy or use of either this discount code or the venue listing, nor will any of them be liable for any personal loss or injury occurring at the venue otherwise than as a result of the negligence of the promoter, TLC or its agents and (d) TLC, its agents and distributors do not guarantee the quality and/or availability of the services offered by the venues and cannot be held liable for any resulting personal loss or damage. Your statutory rights are not affected. 13. The Promoter reserves the right to terminate or amend this offer in wholly exceptional circumstances outside its reasonable control and only where circumstances make this unavoidable but will use all reasonable endeavours to minimise the effect to the participant to avoid disappointment. 14. The Promoter and its agents reserve the right to offer a substitute gift of equal or greater value owing to circumstances beyond its reasonable control. 15. This offer is administered by TLC Marketing UK Ltd., PO Box 468, Swansea, SA1 1RH. All correspondence regarding this offer should be directed to this address marked ‘Dulux Trade Points’. 16. Any question concerning the legal interpretation of the rules will be based on English law and the Courts of England and Wales will have exclusive jurisdiction.